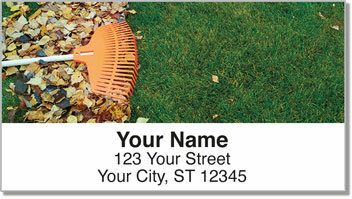 When it comes to landscaping - you've turned a specialized skill into an eye-catching art form! 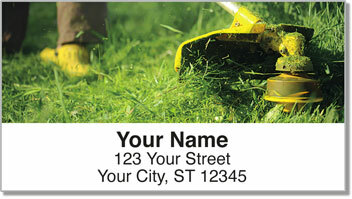 The backyard is your canvas, the mower, rake and clippers your tools for creating lush green lawns. ornamental gardens and much more. It's not easy work. But when you take a step back and look over a job well done, you know your handiwork will be enjoyed just as much as any painting or sculpture. 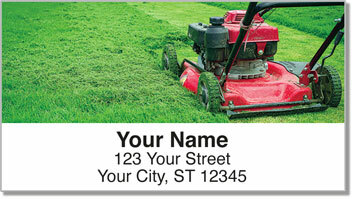 Lawn Care Address Labels from CheckAdvantage are an excellent choice for those with their own small business, or anyone who takes pride in taking care of their property. 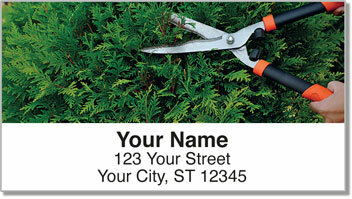 These self-adhesive labels will make it quick and easy to prepare all your outgoing mail. Just peel and place!